“We had a lucky find the other day when we were given the transcript of a Birkenhead News item from 1906. You can read the article in .pdf format. Note how Queens Road was then called Prussia Road. If you walk up Queens Road from Market Street and look up at houses on the right-hand side about half way down you’ll see a Prussia Villas name plaque. A fantastic journalistic account of an act of extraordinary human courage. I recently went to` Hoylake to visit the Holy Trinity Graveyard, as I am researching my Family History and I believed that my family called Roberts was buried there. I knew there was a drowning in the family, when people were being saved. There is a grave there belonging to Henry Roberts,who drowned.. I was looking for George Dodd Roberts , who was a Customs Officer and lived at a place called The Moorings in Hoylake. Does anyone recognise the House that was called this? There were many relatives who were Lifeboat men. 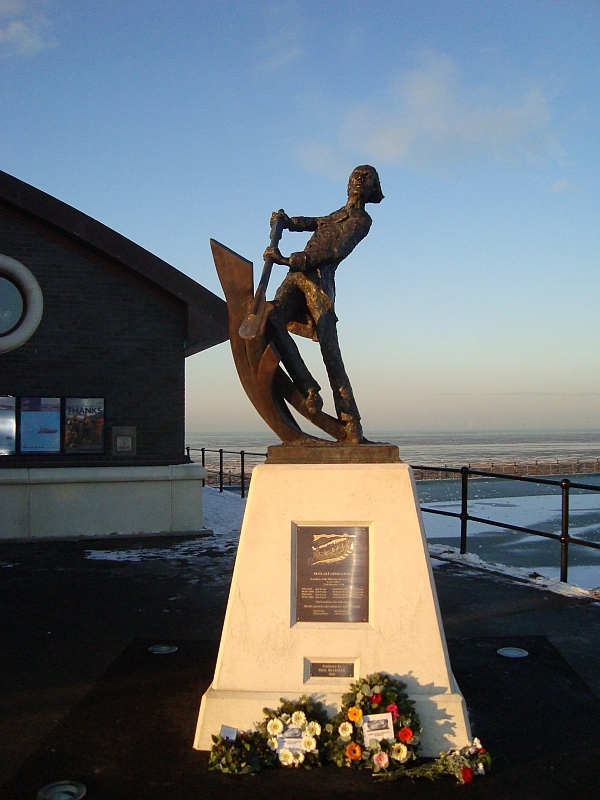 Are there any Historians who know about the Lifeboat Disaster and Hoylake History. And also about the Eccles Family who are buried in Hoyllake and are also related.